Carla Hardy WV Project CommuniTree (CTree) is a program of Cacapon Institute in partnership with the WV Department of Environmental Protection (WV DEP) Chesapeake Bay Program that includes WV Division of Forestry (WV DOF), WV Conservation Agency (WVCA), WV Division of Highways (WV DOH), and the Eastern Panhandle Regional Development & Planning Council (Region 9). CTree promotes tree planting and education on public land through volunteerism in the Potomac Headwaters of West Virginia. The program also focuses on enhancing and promoting awareness of watershed and riparian area needs such as storm water management, water quality issues, buffer zone planting, and soil erosion. The program is volunteer based and engages stakeholders in the process of making priority decisions within their respective communities and offers a strong educational message along with a physical planting component. Twenty groups successfully applied for CTree Kits in spring 2017, tied with spring 2016 for the most tree plantings in any single planting season. 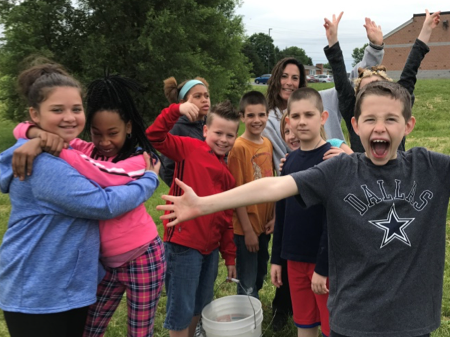 A wide range of volunteers participated, from elementary school students to seasoned adult volunteers, and a total of 428 new trees were planted. All the projects were on public land or privately held land that is open to the public. Planting sites included schools (8), subdivisions (4), parks (2), fire stations (2), a 4-H camp (1), a church (1), a farm (1) and an animal adoption center (1). Projects took place in seven of the eight counties of the Potomac Basin. Overall, the groups that received CTree Kits produced $47,558 worth of volunteer contribution, primarily in volunteer labor but some groups also provided their own donations of materials. The total volunteer contribution in spring 2017, including $4,674 in additional support, was $52,232. Since beginning in 2012, CTree has organized 161 CTree planting events, planted 5,052 trees, and engaged over 11,000 volunteers in more than 20,000 hours of volunteerism and tree stewardship activities. 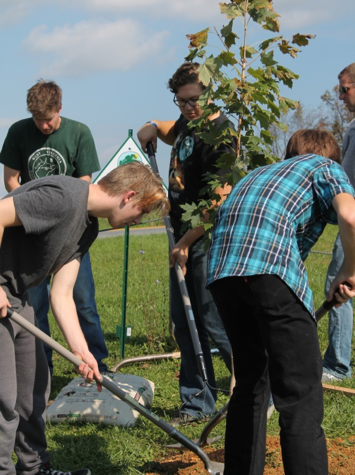 The characteristics that made these volunteer groups successful include the ability to organize quality tree planting events, engage and educate a broad community of volunteers, and maintain healthy trees. Continuing to engage groups with these attributes will be beneficial to successfully marketing the CTree program and providing outreach to new and potential applicants in years to come.